The Airbus A330-800 has completed its maiden flight, with this highly-efficient addition to the A330 twin-engine widebody jetliner product line performing an evaluation lasting four hours and four minutes from Toulouse-Blagnac Airport. The Airbus crew for this first flight put the aircraft through its paces and highlighted the new-generation jetliner’s operational advantages. 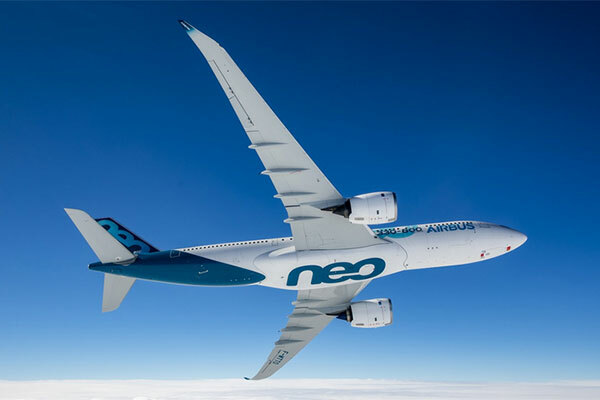 The A330-800 and A330-900 have more than 99 per cent commonality across the two A330neo versions, and they share the same type rating with the other members of Airbus’ A330 Family – which are the best-selling midsize widebody aircraft ever. Additionally, the two A330neo aircraft have a common type rating with the A350 XWB, facilitating pilots’ transition among these widebody Airbus aircraft for maximum efficiency. The A330neo has the quietest and most comfortable cabin in its category. Fitted with the new Airspace by Airbus cabin, the A330neo features an innovative and customisable entrance, full LED ambient lighting, new lavatories, as well as the latest in-flight entertainment system for an exclusive experience aloft. Rolls-Royce’s Trent 7000 powers the A330-800 and A330-900, offering a significant reduction in fuel burn. With 25 percent less fuel consumption than previous generation aircraft, these A330neo jetliners can travel farther with lower operating costs.